Having recently moved the wife and I found ourselves burdened with a daily routine of opening two garage doors with two separate controllers. This routine consisted of reaching into the armrest and fumbling for the right garage door controller and then finding the correct button to press. As you can imagine the routine got old real quick. 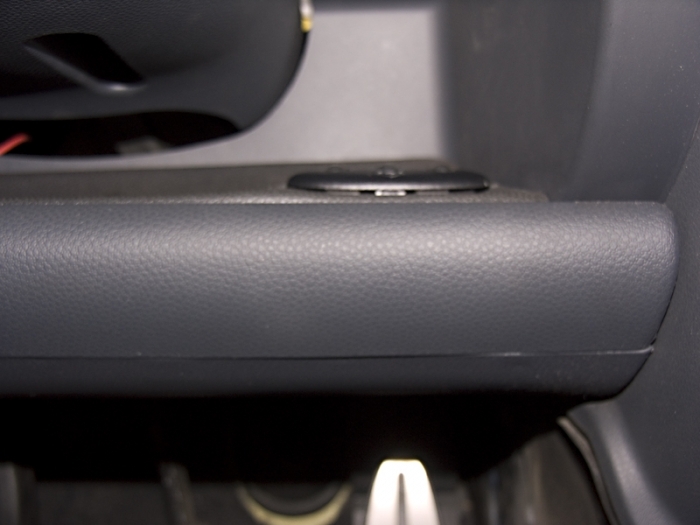 It didn’t take a lot of looking around to realize the price of an OEM Rear View Mirror with Homelink was expensive and used ones were and far and few between, especially for a convertible. We quickly realized that a custom solution was in order. We decided to go with was to custom install just the Homelink unit controller. Warning: before proceeding disconnect your battery. 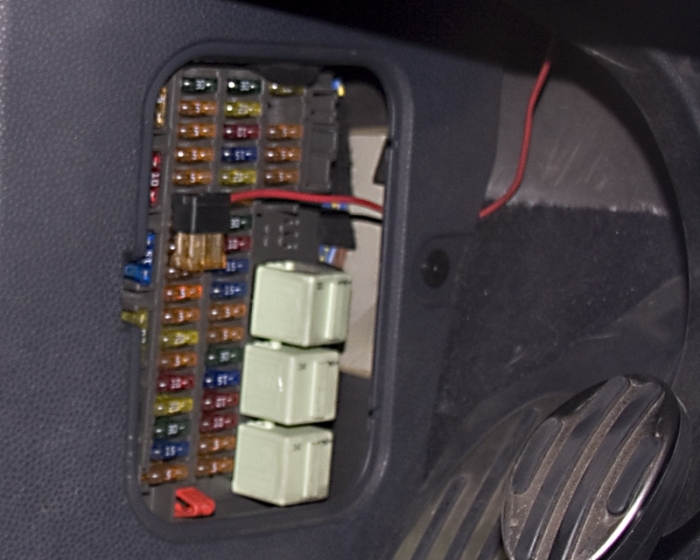 STEP 1: Install the Add-a-fuse into the fuse box (See Image below). Any 5 amp socket should be acceptable. Looking straight at it the left bank of fuses are switched (off with ignition) and the right side is un-switched (always on). 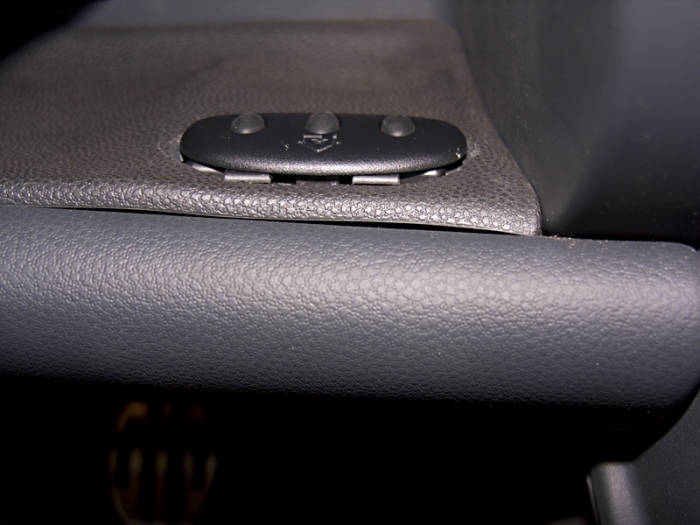 I went with the switched option to prevent anyone operating the controller without the car being on as a security measure. Connect the add-a-fuse lead to the white (power) wire on the Homelink controller using the barrel crimp connector. 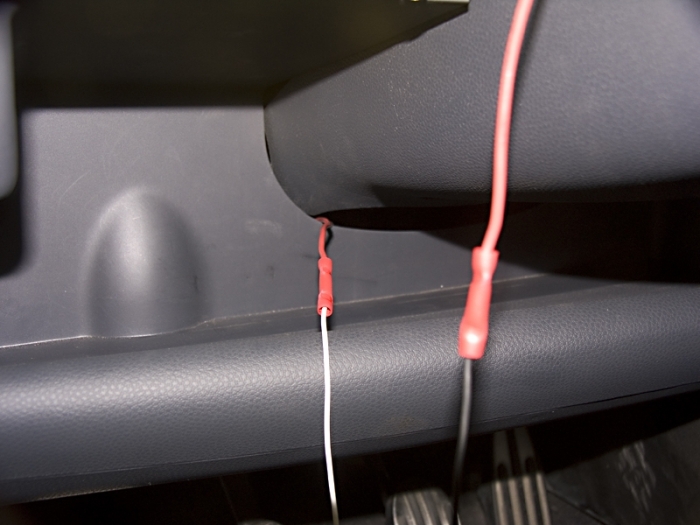 STEP 2: Find a good grounding point for the ground wire. 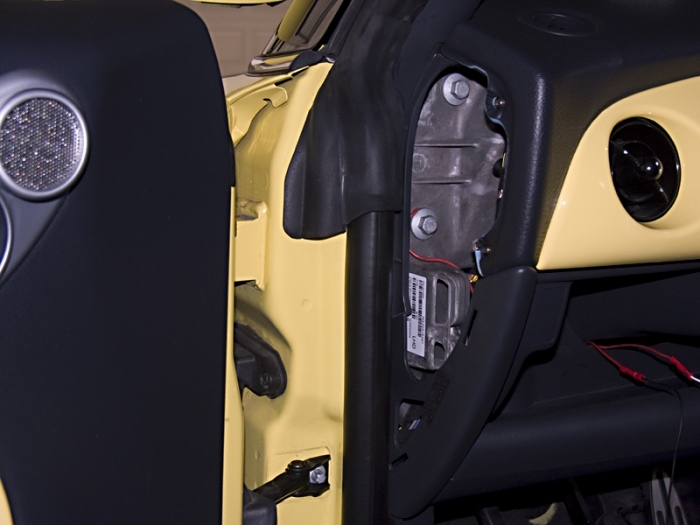 I went with the bolt inside the dash as there is already a wiring harness there and it was in close proximity to the fuse box (See Images below). 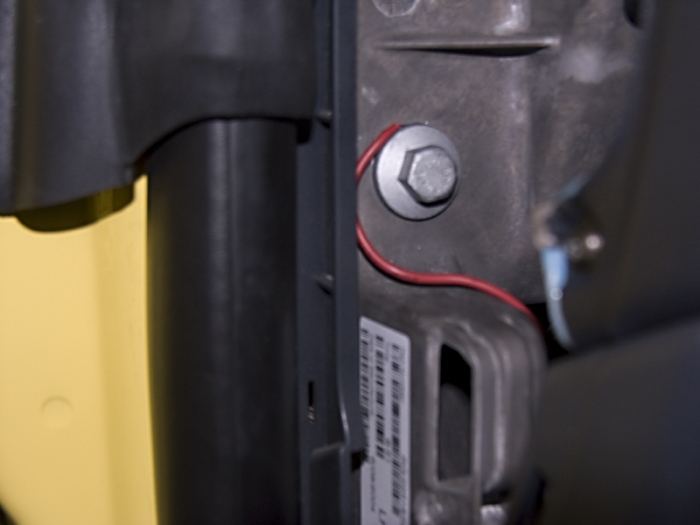 Connect the grounding wire to the black wire from the Homelink controller once again using a barrel crimp connector. Below both wires are connected. STEP 3: Reconnect your battery. Turn your key to the number 2 position and press the two outside buttons on the remote. 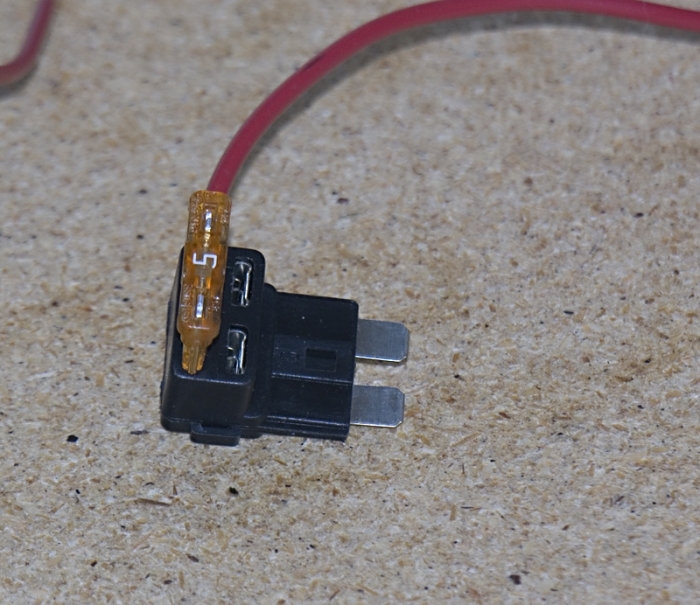 If the indicator lights up, the connections are good. 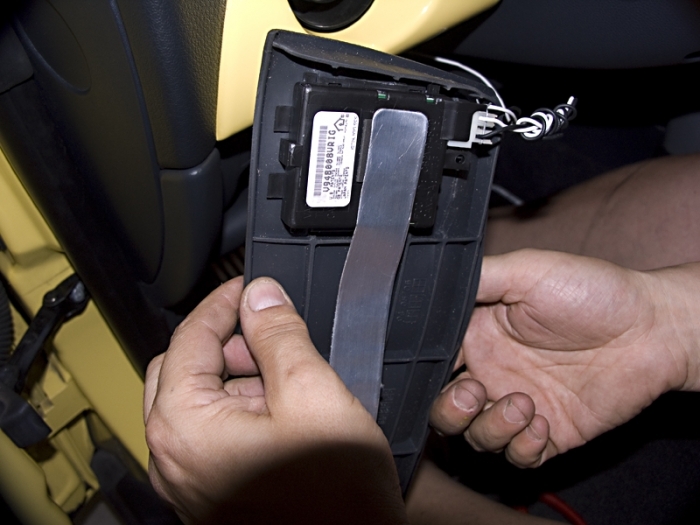 If the indicator does not light, go back through Steps 1 and 2 and check the wiring connections and fuses. 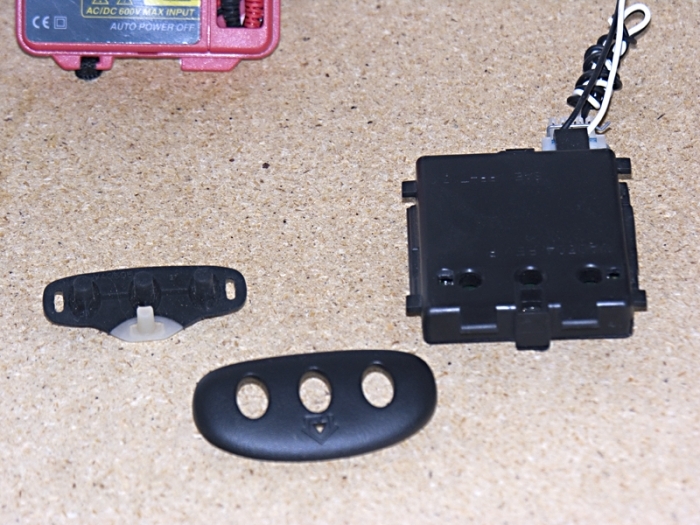 STEP 4: Ideally you will want to install the controller by drilling holes in your chosen install location similar to the pictures below and feeding the rubberized pins through it. 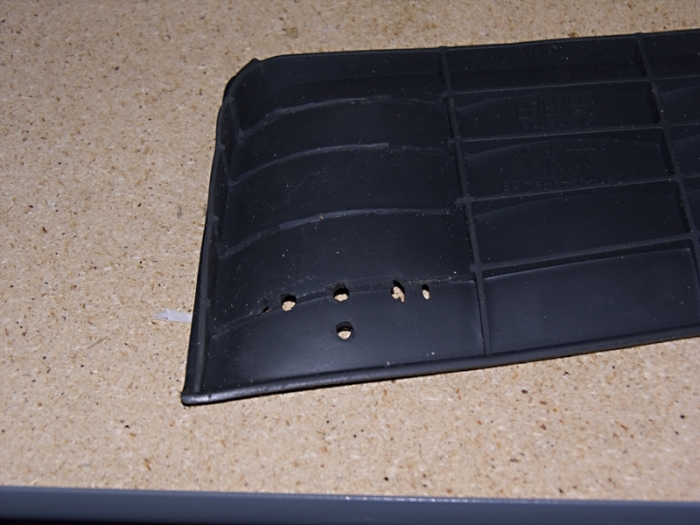 The OEM rubber parcel shelf liner (my chosen location) was too thick for the mounting plate (oval piece with 3 holes in Fig1) to latch into the controller base. (Note: your mounting point might be thinner. Please measure carefully before drilling holes.) 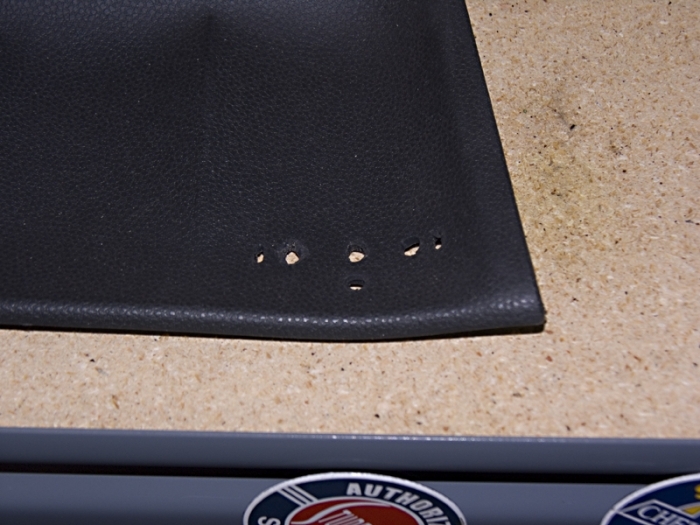 To solve the issue, I ended up cutting a hole to match the mounting plate by tracing the plate with an Exacto knife. 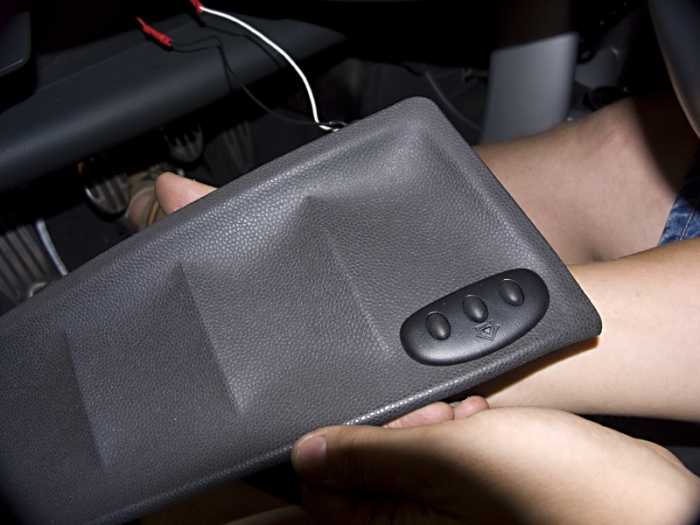 This set up is surprisingly secure and holds the controller firmly attached to the parcel shelf liner. Once placed back, the color is a perfect match to the OEM finish. The controller is well out of site and within a perfect reach. STEP 6: Proceed to program the controller following the instructions in your manual as they are universal to all Homelink products. How to paint your rear brakes. In this case JCW red.